The Chocolate Box is a modern, comfortable two bedroom, 60sq metre fully self contained holiday home/apartment adjoining the owners home. $130-$200.00 per night (based on 2 persons additional charges for extra guests). Sea views, 1.5km to town, 300-400m to Buffalo Beach and safe swimming/fishing. All linen supplied. Free WIFI. SKY TV, DVD. Fenced safe area for children, large all weather north facing enclosed deck, sheltered from the east, good off street parking, fish cleaning bench, garden shed for storage. All the comforts of home. We also have Home Stay option available (separate from The Chocolate Box Apartment) this offers Two bedrooms - 1 bedroom with Queensize bed and 2nd bedroom with two single beds. (Home stay only available to one party at a time) Bathroom is shared between the two bedrooms. Tea and coffee making facilities. Optional Continental breakfast available. Breakfast is served in upstairs dining room overlooking Buffalo Beach. Private deck access from both bedrooms for outdoor relaxation. Free wifi and free parking. Please enquire for Home Stay availability and pricing. Very clean and immaculately presented. Very clean and immaculately presented. We would love to stay again. Friendly people, very tidy, clean, comfortable and cosy accommodation, handy to beach, shops etc, would recommended to all! 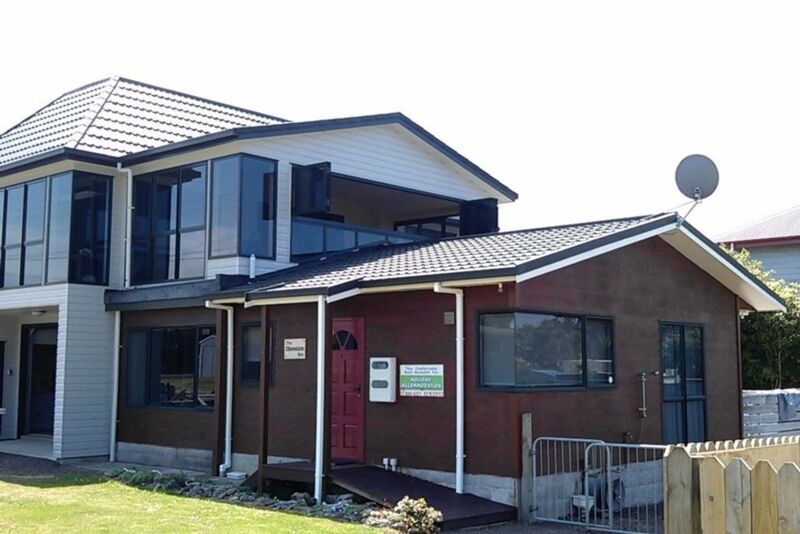 Our group chose to stay at this bach as we were attending the annual Scallop Festival held in Whitianga every year. Very clean, well equipped and comfortable accommodation. A pleasure to have to stay.